Do you want to get into Bitcoin but feel like you might mess up? Everyone messes up sometimes. Learn the risks of bitcoin and how to make them less of an issue. What if the only person who could access 190 million dollars in bitcoin on your behalf died, suddenly? If you keep up with crypto news, you know we’re talking about a real-life situation. Gerald Cotten died in February and he took the password to his investment account to his grave. While we don’t hold anything against Gerald, you could say that only having one person with access rights is a mistake. But that’s one of the risks of bitcoin – how secure it is, even after we pass. Want to learn how to avoid other risks (not including sudden death)? Read below. There’s a reason we talked about the Gerald Cotten story. Part of Bitcoin’s appeal is its ultra security. No one can get into Gerald’s account because of 1. not knowing his password and 2. the fact the currency was in his name. In this case, bitcoin’s biggest asset became it’s the worst nightmare. Speaking of security, here are some common mistakes. There are a few main cryptocurrency wallet sites, most of which are respectable and safe to use. But there are others that aren’t that secure, at least when you’re making transactions. Because of the ownership aspect of bitcoin and the lack of ruling bodies, there’s really no way to get stolen currency back. Which means you have to prevent it from happening, not just fix it after the fact. Here are our recommendations for the best crypto wallet sites. Want to touch your cryptocurrency with your hands? The Ledger blue device is as close and you’re going to get. It’s a small tablet looking a piece of hardware that acts as your wallet – and nothing else. You can sync the wallet to a secure server and set up your account/make transactions. People like this option because they can a. touch it and b. it feels safer than storing your money in the cloud. If you don’t want another device in your home (like if your partner is obsessed with Marie Kondo) you can use Coinpayments. It’s more of your typical cryptocurrency wallet where you store information in the cloud. It’s free and you’ll only pay fees if you decide to transfer coins from one user to another or between accounts. Our final pick looks the best, from a digital design standpoint. Does that particularly matter to its functionality? That’s a matter of opinion. Looks aside, this cloud-based cryptocurrency wallet has one very popular feature – a one-click exchange. This makes trading and moving your currency fast, but it does take a measure of security away. If you’re going to go the fast route, make sure you move smaller amounts – in case the transaction gets hacked. That risk only exists if you transfer, however. Otherwise, you store your currency in your account, which exists offline, except during the time you access it. Remember when your mother or grandmother used to say “don’t put all your eggs in one basket”? Those people that lost their cryptocurrency when Gerald died probably wish they’d heeded that advice. But we’re not just talking about diversifying which accounts you store your currency in – though that’s important. We’re talking about making crypto part of your investment strategy, not all of it. As a follower of crypto, you know that values and prices fluctuate. It’s normal – the stock market fluctuates too. But the stock market has a ruling body and crypto does not. If you put everything you had into crypto and you needed to cash out, for a family emergency, you’d be victim to the current rates. Instead of being caught there, make sure you don’t abandon your other investment strategies and assets. Stocks and bonds should always be in play – along with your crypto ownership. Finally, we see so many crypto investors that get excited at the beginning and then get frustrated with the complexities of the market. Just like anything else, crypto has a learning curve. You’re never going to learn and succeed if you don’t put in the hours and persevere. If you follow our tips and don’t put all your eggs in the crypto basket, this will be easier. 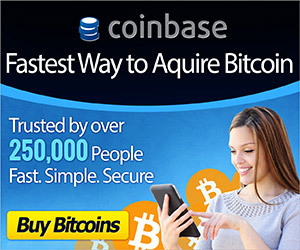 It’ll also be easier if you never get your bitcoin stolen – as in you use a secure cryptocurrency wallet. Be patient and watch the market like you watch the market for your other investments. Nothing is perfect – and that’s the right investment strategy. Sell when values are high and buy when values are low – just do so on a secure server. Want to learn more about investment strategies? This site has your back. After reading this article about the risks of Bitcoin, how are you feeling? A little letdown? Maybe you’re feeling just as excited as you were before? Whatever you’re feeling – it’s valid. Be careful when you invest and don’t put more than 10% of your total wealth in crypto when you’re just starting out. Take the time to educate yourself on how to invest and learn the differences between the types of currency available. It seems like there’s a new one each day! Take it slow and be strategic, you’ll learn what works for you as you go. Want to learn about how Crypto investments will impact your taxes? Learn here.